The small borough of Closter is located within popular Bergen County, New Jersey. Like most of New Jersey, Closter was originally inhabited by the Lenape Native Americans before it was settled by the Dutch. Modern-day Closter has now become a small-town oasis in the shadow of the big city, with a population consisting primarily of family households. One of the most popular features of the borough is the shopping center known as Closter Plaza, but it earned another claim to fame when it was highlighted in 2012 during the filming of the blockbuster movie The Wolf on Wall Street! With friendly Closter movers and exceptional customer service, Booth Movers has been the first choice in Closter moving companies since the 1940’s. BBB accredited with an A+ rating, the service and customer care of Booth Movers is top-notch. Whether you are moving down the street or to a new country, no relocation project is too big or too small for our experienced movers! 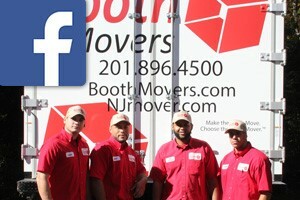 If you are looking for the best in Closter moving companies, then look no further than Booth Movers! For decades we have been a top agent for Atlas Van Lines, providing our Closter movers with the equipment and resources to handle any residential relocation. For more information on the Closter moving services that we provide, see the links below! Residential Moving – For residential moves around the world, there is no other choice than Booth Movers! Household Moving – Our Closter moving company leads the industry in customizable household moving solutions. Local Moving – Moving within Bergen County is a breeze with our experienced Closter movers! Long-Distance Moving – If you are planning a long-distance relocation, let Booth Movers handle all the details! Interstate Moving – Interstate moving is a seamless process when you are working with our Closter moving company! Full Service Moving – With state-of-the-art equipment and resources, Booth Movers can efficiently handle all stages of the moving process. International Moving – There is no reason to stress about your international move when you have Booth Movers on your side! Are you ready to learn more about the top Closter moving company and the services it can provide you during your relocation? Then give Booth Movers a call today, or fill out our quick online form to request a free moving estimate!